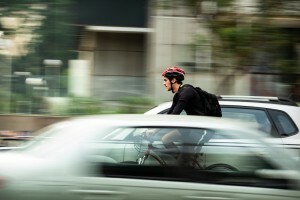 Injury Resources > Personal Injury Blog > You’ve Been in a Cycling Accident Involving a Motor Vehicle – What do you do? As we escape the throes of winter, not only do we welcome warmer sunny weather but so do the nation’s cyclists. However, with beautiful weather, bicycle accidents are at their peak. ICBC estimates that 160 cyclists are injured every month from May to October. 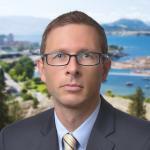 Recently, cyclist Anthony Floyd was involved in a collision when a driver pulled into a cycling lane while attempting to turn left on a busy Vancouver street. Luckily, Floyd was able to slow down his bike before impact and was able to avoid any serious injuries. He also had a mounted camera that recorded the incident, showing the vehicle’s movements before the collision. Not all cyclists have a mounted camera on their bikes that help their potential legal case after a cycling accident, but there are a number of specific steps you should take immediately after a cycling accident even though, for most people, safeguarding their ‘legal interests’ is the furthest thing from their minds after they’ve just had a close encounter with a car. Unless you’ve been badly injured, your impulse may be to get back on your bike and get going, assuming (hoping) you’re fine. But the reality is that many symptoms will not arise until well after the event. For example, you may have suffered a concussion without necessarily being consciously aware of it, and you may not suffer any symptoms at the time of the accident. As a result, it’s very important to make sure you gather the information you will need to advance a claim for your injuries – just in case. Note: Even if your injuries do not require immediate medical attention, it is always a good idea to get yourself checked out properly by a medical professional as soon as possible after an accident. Again, this is because of delayed symptom onset. Your doctor is in the best position to assess your condition and provide you with a treatment plan that you should follow to the letter. Remain calm – the driver of the car that hit you will have his/her side of the story and it’s not the time or place to convince them otherwise. Even if the driver apologizes, it’s still important to gather as much information as you can because there’s a good chance the driver’s insurance company will deny that they were at fault. Also, try to override your natural (Canadian) instinct to apologize – even though it’s not an admission that can be used against you in court, the reality is that it is likely to make it harder to settle your claim (if you end up making one). Get the name and contact information of the driver that hit you, as well as any witnesses. If possible, snap a photo of the license plate of the car that hit you and the accident scene including the location of your bike in relation to the car that hit you. Wait for the police to respond so an objective party can prepare an official report. If an ambulance attends – go to the hospital if it is suggested to you. Take the time to get checked out by a medical professional. If possible, speak to a lawyer before making a statement to ICBC. If you must give a statement (such as to the police), keep it short and to the point. Make a note of the accident (the events leading up to it, and the accident itself) with as much detail as possible. Describe the location of your bike on the roadway at the time of the accident. Include things like road and weather conditions, time of day, and any factors affecting visibility. If the accident happened at night, make a note of any reflective gear you were wearing. If you fell off your bike, where did you land in relation to your bike? Try to think of specific reference points (e.g., your bike was on the curb, you ended up next to the tree across the sidewalk). Make a note of the injuries you suffered – be comprehensive – everything from your toes all the way up to your head, including headaches, nausea, dizziness etc. Take photos of any damage to your bike and clothing. If your helmet was damaged – take photos. Do not throw away your damaged clothing or cycling gear – it may be useful evidence at trial! Alternatively, you can click HERE to download Murphy Battista LLP’s Laymen’s Guide to Part 7 Benefits. are hit by a BC-licensed and insured vehicle in BC. provide ICBC with a written report of the accident (short and to the point), and provide ICBC with a proof of claim on the form that will be provided to you by your ICBC adjuster. It is wise to discuss your application with a lawyer. Most lawyers, including Murphy Battista, offer a free consultation. If the accident does not involve a motor vehicle you may still have a claim! If you fall off your bike for some other reason (for example, defects in the road, or road construction created an unmarked hazard in the road), it is important to document the incident as much as possible by taking photos of the scene of the accident, obtaining contact information from witnesses, and making a note of your injuries and the damage to your bike. For photos of holes/cracks in the road, include an object (i.e. a pen, shoe, wallet) in the photo to provide context for the size of the hazard. Consult a lawyer as soon as possible as there are strict limitations dates that apply if the negligent party is a municipality. If you have questions about a cycling accident you are welcome to contact us.